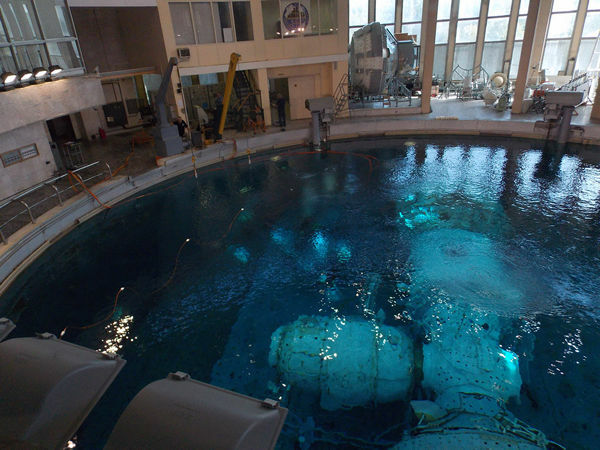 Incredible Adventures offers the rare opportunity to train inside the hydrolab, the same underwater training center used by cosmonauts to prepare for space walks. 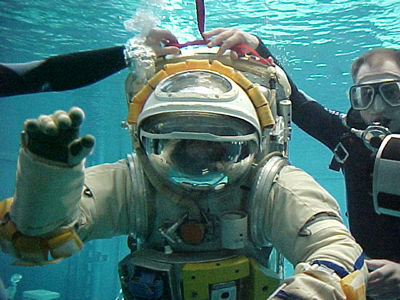 You'll suit up in an authentic Orlan Space Suit, equipped with health sensors, for a simulated mission inside the neutral buoyancy tank. The "free space simulator" is open to all who meet the height, weight and medical requirements established by the Russian Space Agency. The hydrolab features a water depth of 12 meters and measures 23 meters in diameter. In the hydrolab, crews acquire and master the skills necessary to accomplish operations on the external surface of an orbital space station. The tank is also used to perform ergonomic testing on space suits and equipment. Note: This adventure requires one full day and certification of good health.